Custom clear view Oahu sunglasses –white are perfect for any event or occasion under the sun. These stylish sunglasses can be teamed with any fashionable attire, formals and casuals. One size fits most adults and it can stand out on any occasion. You can get your brand initials or brand name imprinted on arms prior to gifting. We offer attractive discounts on bulk ordering these custom Oahu. You can avail free 1st arm set up and free online design proof for this order. 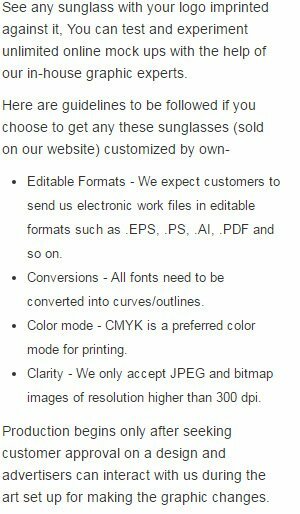 Request a quote to know price benefits offered for wholesale custom clear view Oahu sunglasses – white.